The Coe-Brown Northwood Academy Art Department is pleased to announce that the following students received recognition in The 2016 Scholastic Art Awards of New Hampshire Competition administered by The New Hampshire Art Educators’ Association – A Regional Affiliate of the Alliance for Young Artists & Writers, Inc. Nine Hundred and Eighty pieces of Gold Key, Silver Key and Honorable Mention Award winning works are on display beginning Tuesday, January 19 through Saturday, February 7 at the Stockbridge Theater on the campus of Pinkerton Academy. For the second year in a row a Coe-Brown student has received the coveted American Vision Nominee (one of the five Best of Show pieces). 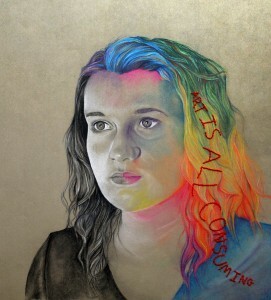 Senior Billie Pingree’s mixed media work Art is All Consuming was awarded the prestigious award this year. 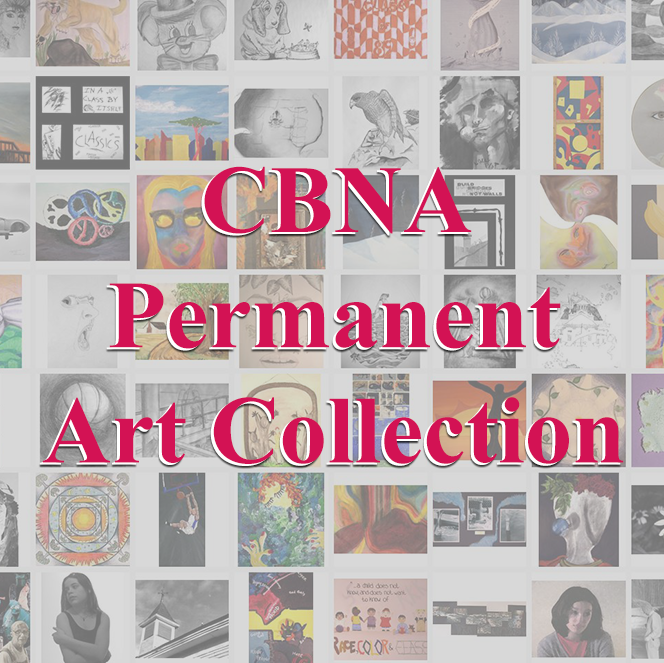 In total, CBNA visual arts students were awarded twelve Gold Keys, four Silver Keys, and fifteen Honorable Mentions. In addition four seniors were recognized for their portfolios (one Gold Key, Two Silver Keys and Two Honorable Mentions) that will provide them with scholarship opportunities. All Gold Key artworks will continue on and compete in the national competition later this spring. The Scholastic Art Award exhibition is open to the public Mon. – Fri. 9:00 AM to 4:00 PM. An awards reception will take place in the theatre on Sunday, February 7. Students in grades 7-9 will be honored at a ceremony beginning at noon, followed by a ceremony for students in grades 10-12 at 1:00 PM. The exhibition will close at 3:00 PM on February 7.